12 Greenfire Farms Day-Old Vorwerk Chicks:Recently Imported and Currently Our Most Wanted Chicken Breed! The lucky winner of this auction will receive 12 or more unsexed day-old ultra-rare Vorwerk chicks from a newly imported line of beautiful German birds. Be one of the first in the United States to own this stunning two-tone Old World breed. The Vorwerk is a strikingly beautiful dual purpose breed was developed in Germany more than a century ago by Oskar Vorwerk. The Vorwerk was developed using Lakenvelders, buff Orpingtons, buff Sussex, and Andalusians. 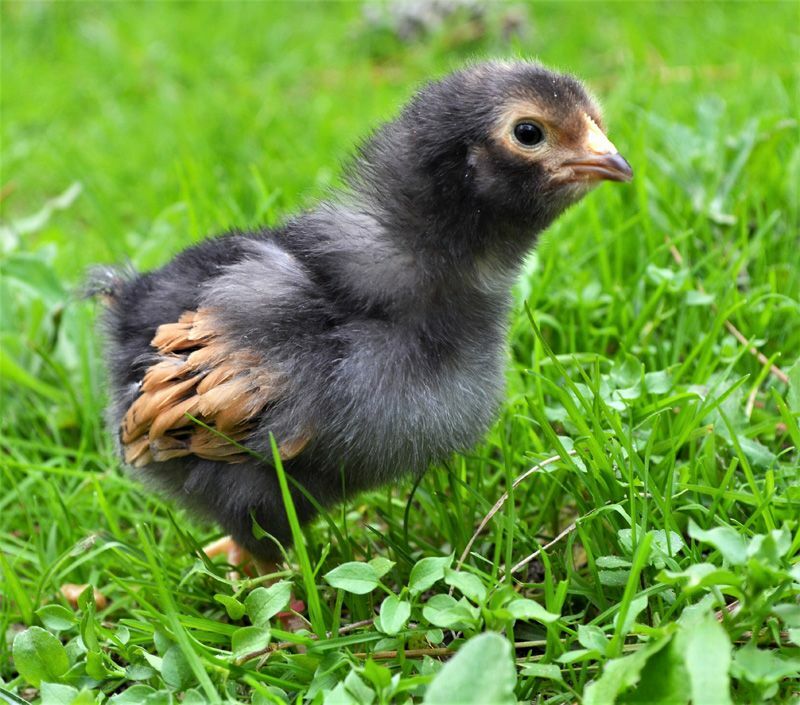 It has always been a rare chicken breed despite its good looks, and it is virtually non-existent outside Continental Europe. 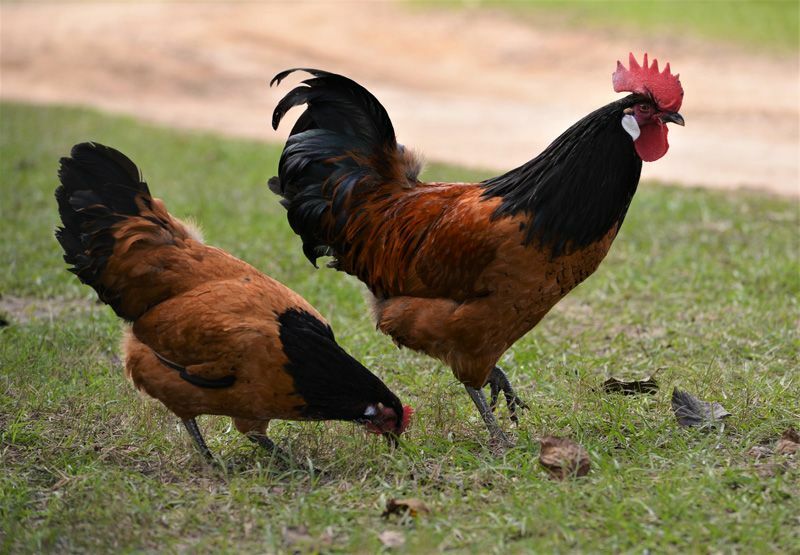 Greenfire Farms imported our birds directly from highly regarded German stock. We have been very pleased by their performance on our farm. 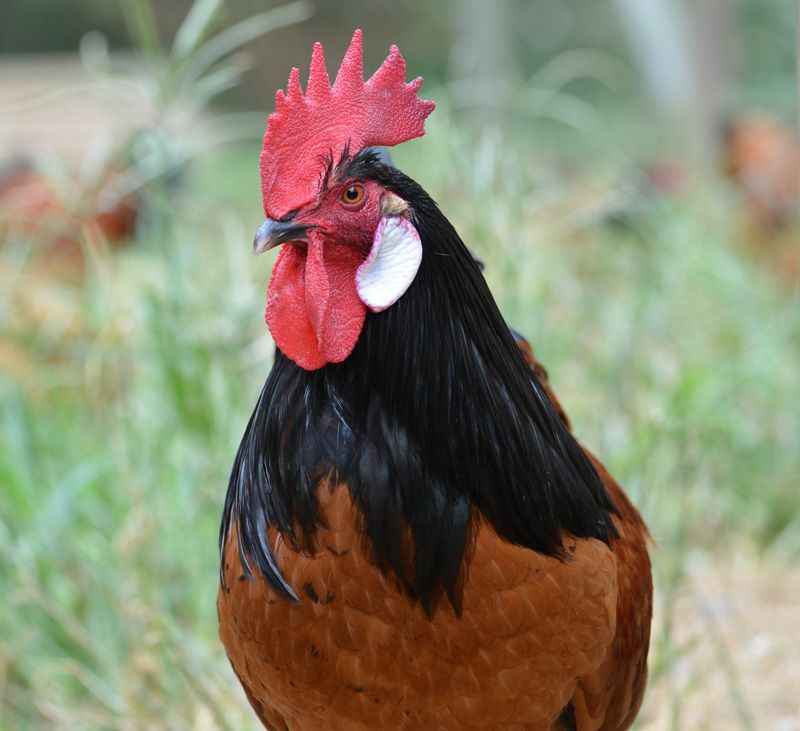 They're gentle, active foragers, and the hens produce a large number of tinted eggs. We've had very high fertility, and the breed seems generally robust. They take well to a pen but enjoy free-ranging whenever possible. A few breeders claim to have Vorwerks in America, but this breed can be confused with gold Lakenvelders. It’s worth closely checking the pedigree of any birds that are claimed to be Vorwerks including evidence they were legally imported. Bantam Vorwerks have existed in the United States for a few decades. 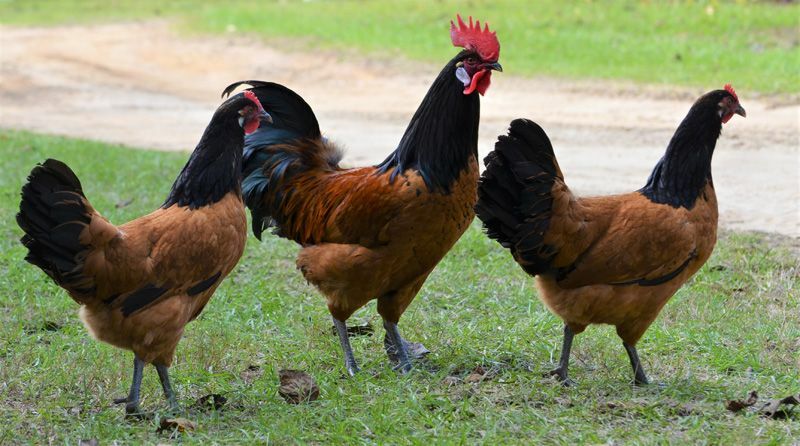 These American bantams were not imported but instead were developed in this country. The Vorwerks you will be bidding on here are large fowl, not bantams. The pictures on this auction represent the quality of the stock that Greenfire Farms is currently working with. The winning bidder will receive 12 or more unsexed day-old Vorwerk chicks. They will be vaccinated for Marek's. These chicks will be shipped within 3 weeks of the close of this auction. We guarantee live delivery and the health of the chicks for 72 hours after you receive them. The auction winner pays an additional $35 in shipping costs.